In 2011 I made my way to Oppikoppi Unknown Brother. It was the 13th Oppikoppi festival that I attended since 1998 (including 3 Easter Oppikoppis). My friends and I were there from the Thursday to the Monday morning and it was an awesome tune-packed, dust-infested and booze-enhanced weekend in the Limpopo bushveld. It was also the first time that I received media accreditation for an Oppikoppi festival. There were some truly great moments during last year’s festival. Isochronous, Ef-El, Fuzigish and Southern Gypsey Queen gave the weekend a kickstart on the main stage on the Friday night. Saturday was chock-a-block full with memorable performances by The December Streets, Lise Chris Band, Harpdog Frost (Albert Frost and Rob Nagel), Mr Cat and the Jackal, Matthew van der Want & Chris Letcher, Holiday Murray, Karen Zoid, Bittereinder, Jax Panik, Not My Dog, Desmond & the Tutu’s, Gazelle, Zebra and Giraffe and Van Coke Kartel. And Sunday was just the cherry on the cake, spawning awesomeness with performances by Die Tuindwergies, Wrestlerish, Dance You’re On Fire, Dan Patlansky, Die Heuwels Fantasties, Tumi and the Volume, David Kramer and friends, The Used (from the USA), Die Antwoord and Sum 41 (from Canada). Quite a mouthful, isn’t it? Now you’re probably feeling up for Oppikoppi 2012 Sweet Thing, right? Check out this blog post on Gevaaalik.com featuring some Oppikoppi Tips (Warning, it’s in Afrikaans). You might also want to check out the Oppikoppi Sweet Thing Line-Up Times, the Oppikoppi Sweet Thing Map, the Oppikoppi Sweet Thing Rules, 5 Stories from Oppikoppi Festivals of Yesteryear, Some Oppikoppi Advice for Geeks from Sheldon Cooper, Some Oppikoppi Advice from Boromir and Some Survival Tips for Oppikoppi Sweet Thing (Sourced from Social Media). If you want the bulk of it all, listen to this podcast on SA Music Zone (also in Afrikaans). I trust that you will find some useful information out of all of these links. Between 16,000 and 17,000 tickets have been sold for Oppikoppi Sweet Thing so far. A record attendance is expected for the festival this year. If you haven’t bought your ticket yet, you should really move your behind and get to it. Tickets are bound to sell out (like they have in 2010 and2011). To get your ticket to South Africa‘s premier music festival, head on over to the Standard Bank youth portal for your discounted R600 tickets. They supplement each ticket for the fans and you DO NOT have to be a Standard Bank client to make use of this service. You can also obtain tickets on the Oppikoppi Festival Facebook page for R700 or for R750 from Ticketbreak. 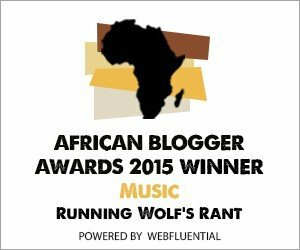 Watch this for regular Oppikoppi, Photo Albums and Music News updates on Running Wolf’s Rant.